Two years ago, an organ transplant in Spain caught the attention of the medical community across the world. As reported in a story on www.dailymail.co.uk, Claudia Castillo of Spain received a windpipe generated from her own stem cells. Organ transplantation has been performed for years. However, in most conventional organ transplants, the patient’s immune system is likely to attack the transplanted organ, as it is foreign to the body. Therefore, patients undergoing organ transplants are given drugs that suppress their immune system. However, this suppression of the immune system makes the patient highly susceptible to a variety of infections. According to an article on eMedicine, 27 percent of patients who die after an organ transplant are killed by opportunistic infections or complications related to the infections. What made Castillo’s transplant remarkable was that an organ generated from her own cells was used. The body would not reject such an organ, and immunosuppression would not be needed in this case. Castillo’s windpipe was generated using stem cells obtained from her bone marrow. Bone marrow stem cells have the potential to develop into a variety of different cells — in this case, they were used to develop cartilage cells. Castillo’s bone marrow stem cells were grown in a lab to produce nearly 6 million cartilage cells. 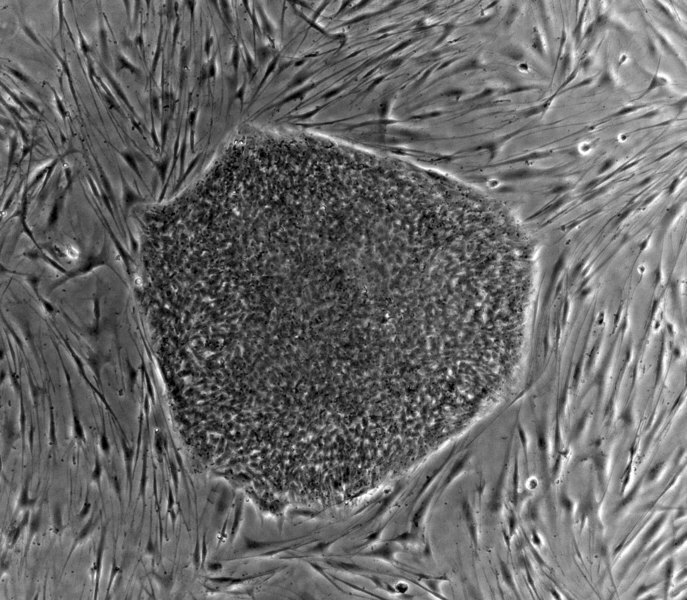 The process of directing the stem cells to grow into a particular cell type is not that difficult. 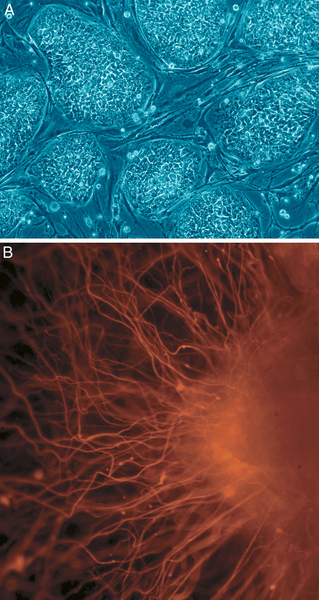 According to an article in the journal Materials Today, simply changing the media in which the cells are grown can cause them to form the desired cell type. Once the cartilage cells were obtained, they needed to be grown on an appropriate support or scaffold to generate the entire organ. In Castillo’s case, a donor windpipe was used as the scaffold. The original windpipe was treated with a variety of chemicals in order to remove all of the original cells on the windpipe. What remained was a scaffold made up of a fibrous protein, collagen. Finally, the cartilage cells were allowed to grow on the scaffold in a special bioreactor. The resulting windpipe was transplanted into Castillo’s body. Castillo, whose original windpipe had become blocked and was causing her severe breathing problems, could breathe normally and resume a normal lifestyle after the transplant. Although the procedure was successful and benefited Castillo, it was extremely expensive. Specifically, the use of the bioreactor to regenerate the entire organ increased the costs of the procedure by a large amount. However, as recently as last month, scientists have been able to replicate this procedure without the need of the expensive bioreactor. Last month, doctors at the Great Ormond Street Hospital in London conducted a similar windpipe transplant in a 10-year-old boy. According to the report in the British publication The Times, the boy received a transplanted windpipe that was regenerated using his own stem cells. However, unlike Castillo’s transplant, the windpipe was not generated in a specialized bioreactor, but was regenerated within the boy’s body. In this case, a donor windpipe was stripped of its original cells and was treated with the boy’s bone marrow stem cells. However, before the stem cells could completely grow on the scaffold, the windpipe was transplanted into the boy, making the boy’s body the “bioreactor” where the remaining growth could take place. A professor at the University College London was quoted in The Times article as saying that this procedure would now cost “tens of thousands of pounds rather than hundreds of thousands,” because the artificial bioreactor is no longer needed. Although the procedure conducted on the British boy could help a number of patients worldwide in need of organ transplants, scientists worry that such a procedure could be extremely unpredictable. Laboratory generation of organs can be controlled to a much higher degree than organ generation within the human body. Hence, regeneration of organs within the body could lead to unexpected complications.